Hijacked By Twins: How Healthy is your Lunch? Trust Two have gone round the top retailers to check what your best options for both your health and your pocket. Sainsbury's like many top retailer do meal deals for lunch. There are both healthy options and ones that are not so good. It really is all about choice. Their meal deal costs £3 so if you have one of these every day that is £15 a week. 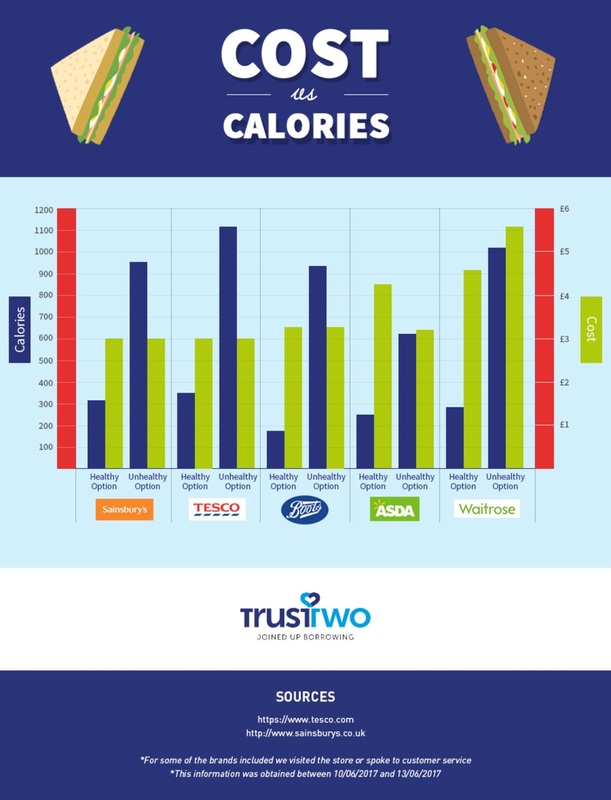 In comparison, Tesco charge the same for their meal deal but their healthiest option is higher in calories. 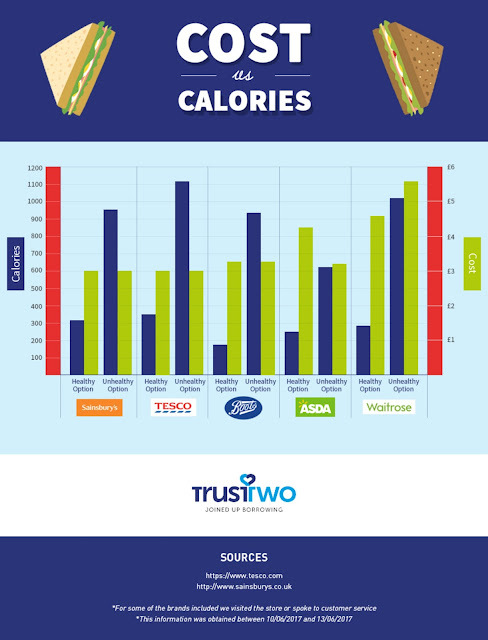 Whereas Boots does cost more but their healthy option contains significantly less calories! Asda's lunch is even more, costing £4.24 and the calories are still higher than the Boots healthy option. 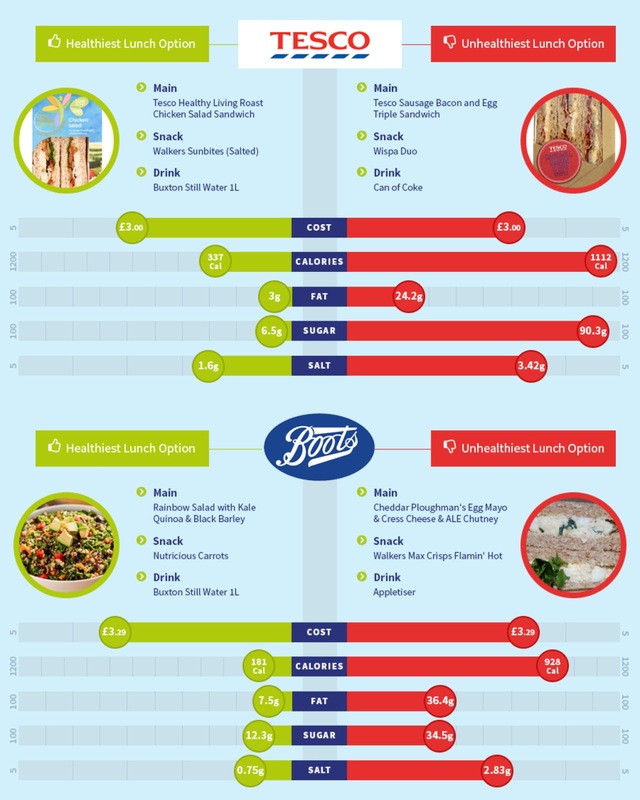 Sainsubry's, Tesco and Boots meals have cost the same, regardless of the healthier option or not. However Asda's unhealthy option is cheaper, which is going to make people who are watching the money go for the unhealthiest option. 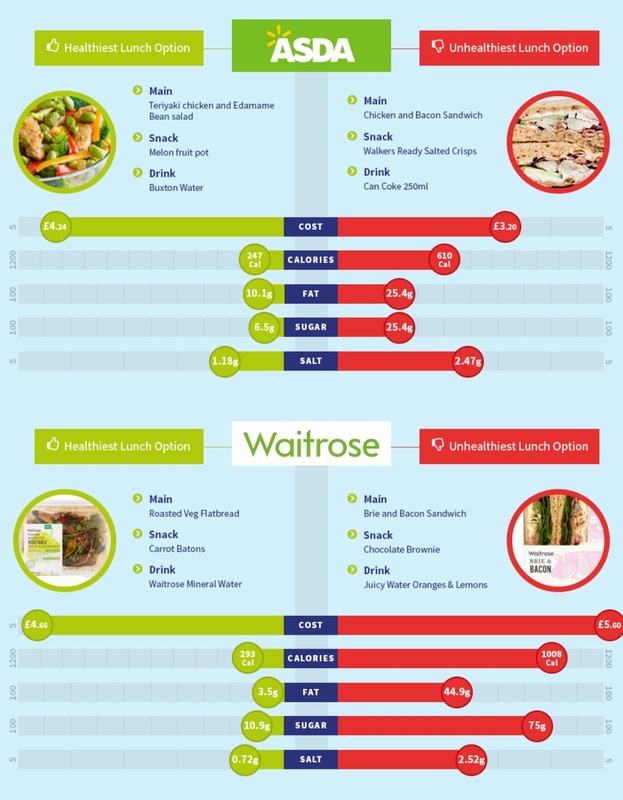 Whereas Waitrose have made their healthy meal cheaper than the unhealthy! Well done Waitrose for promoting a healthier choice! The big companies really should be making it easier and more cost effective to eat healthier and should take a leaf out of Waitrose book! This infographic was produced by TrustTwo who provide guarantor loans. What do you have for lunch? 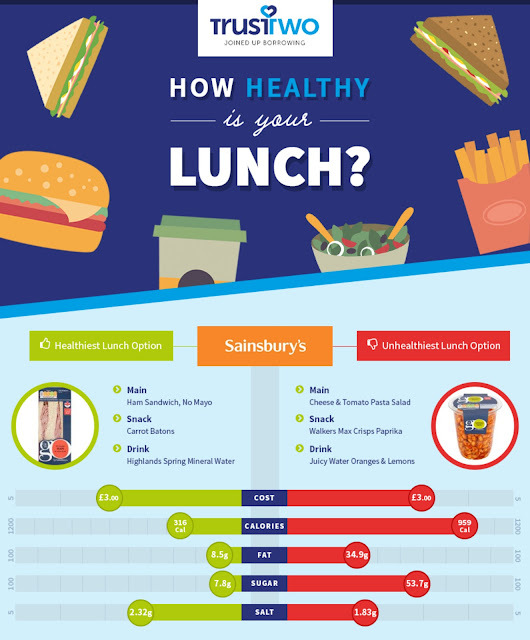 Do you make packed lunches or go for the easier option?